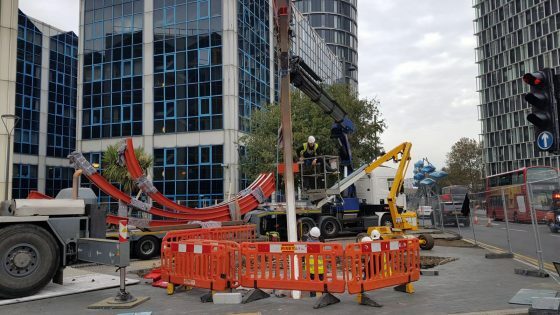 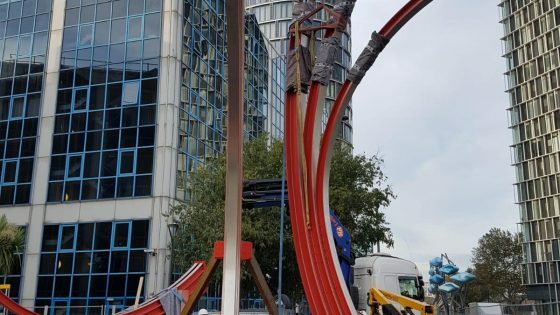 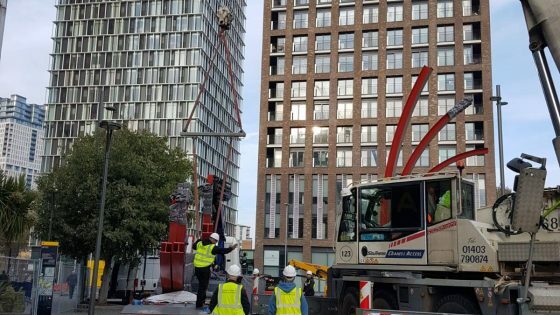 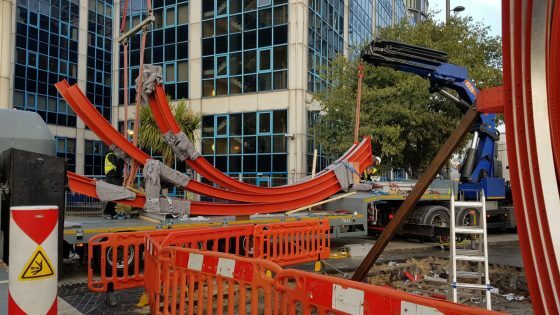 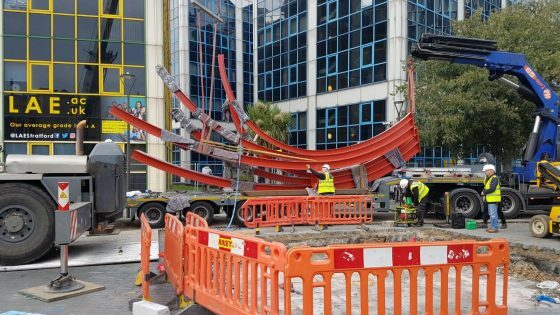 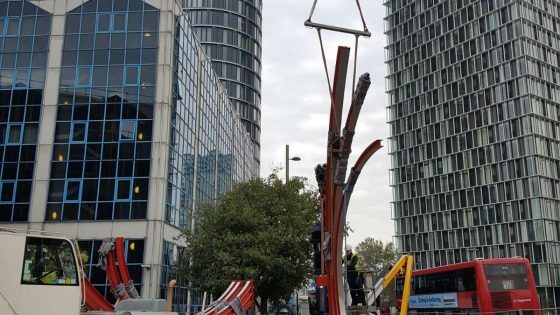 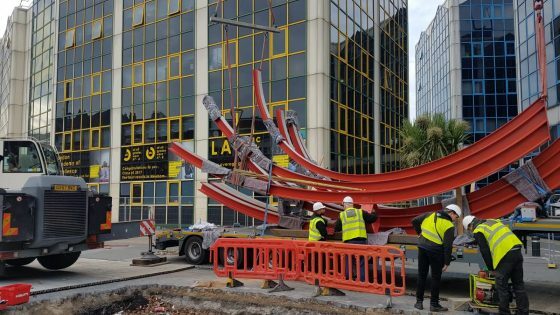 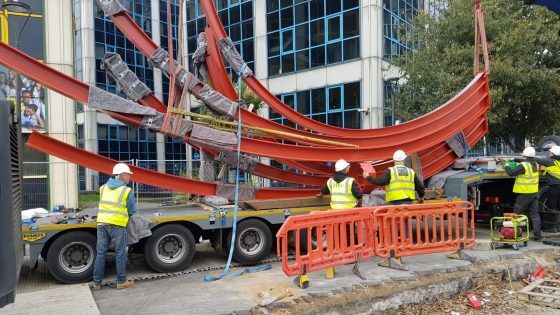 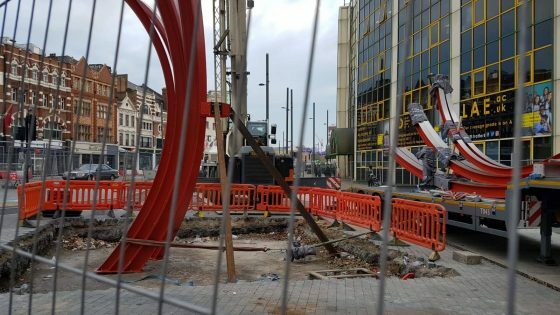 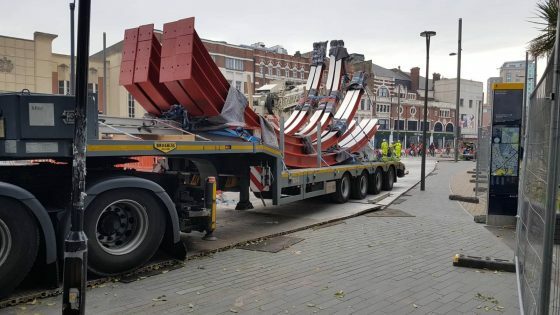 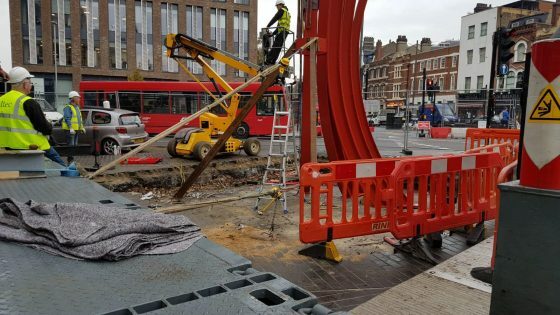 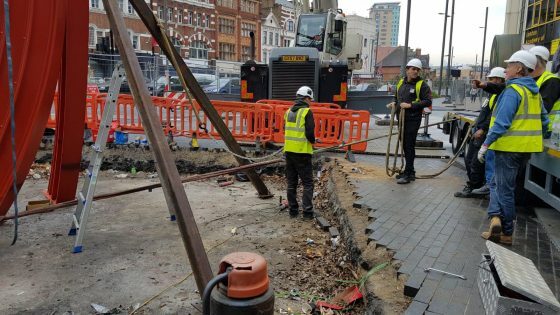 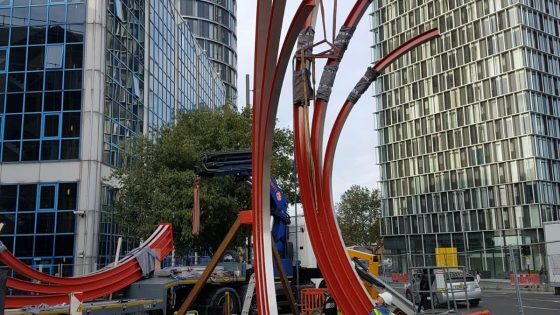 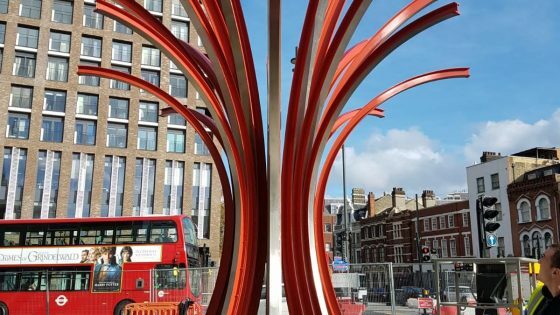 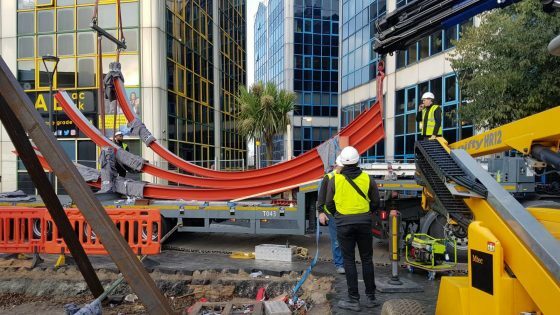 Newham Council required for the sculpture to be refurbished and moved from its position outside Stratford International to a new prominent location 30m away within the redesigned town centre road system. 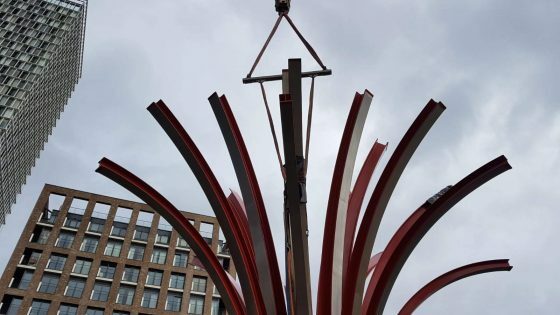 The citing of the piece is integral to its message, with the structure linking to compass points in a nod to the area’s connection with the engineering and transport industries which, at one time, employed over 3,000 local people building nearly 2,000 locomotives over its history. 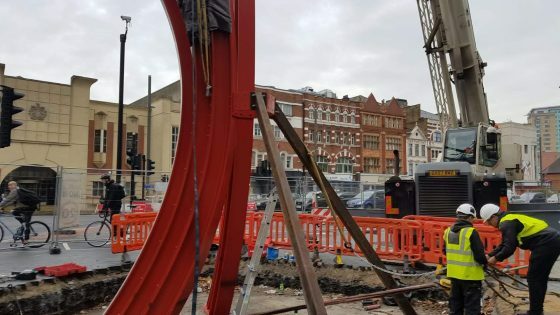 The steel girder branches of the piece are shaped like railway tracks and are arranged to create a tree-like structure in an area bereft of natural landscaping and also reminds us of the areas intrinsic historical links with the Great Eastern Railway. 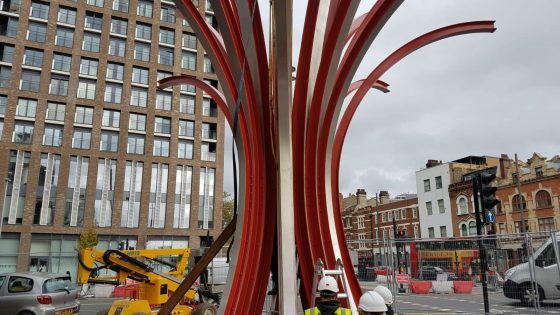 For more information on the piece and other changes planned for Stratford Town Centre you can visit the Newham Council website.